You've known for years that if you want your landscape to have a wintertime presence, you have to incorporate evergreens in your plan. While evergreens have much to offer during the colder months, relying on them alone can bring out the winter blahs as often as not. Here are six alternatives that will knock your socks off in the winter. As the weather cools in the fall, switchgrass turns up the heat. Test this one out and you may find you love the orange tinge in the yellow fall color and the way the winter warm tans contrast beautifully against evergreens. You may most love the whisper of the wind through the leaves, adding kinetic energy to your landscape. Great year-round features include sturdy stems that keep this grass from flopping over, its high suitability for rain gardening, and the fluffy seed heads that feed wildlife. No surprise here. Echinacea is a favorite among die-hard native gardeners. And it has gained tremendous respect in the general nursery market due to some outstanding cultivar introductions. 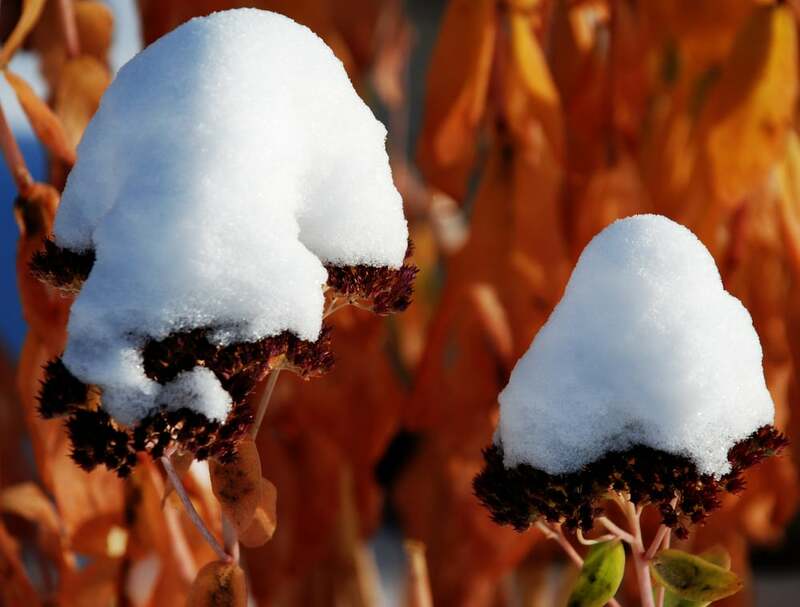 This plant's sturdy dark stems will hold a beautiful cap of snow if left untrimmed until early spring. Songbirds who feed on the seeds will love you for leaving it standing in the winter garden. What's not to love about this deciduous holly's striking red berries. pair this with dark green evergreens and pray for snowfall. It's a stunner. And your favorite winter birds will thank you for the delicious treats. Be sure to plant at least one male plant for every six females to ensure fruit development. At one time, this tree may have been a bit overused. However, specimens are no longer that easy to spot through town and with the exceptional exfoliating bark of this native birch, it's time to give this guy another shot. Pliable branches droop under the weight of snow and ice, so consider its location accordingly, and use this to your visual advantage. Check out that contrast between the red stems and snow blanket. This is another beauty that pairs well with an evergreen backdrop. And pick your poison - you can wow the neighborhood with stunning yellow stemmed varieties as well. Just remember to cut this plant back in early spring to ensure the brightest stems the following winter. The only plant in our lineup that isn't native, but it is a long-time gardening favorite. Now if I can just convince Autumn Joy owners not to cut the plant back until early spring. Do you see those gorgeous dark umbels complementing reds, tans and whites? This is where beauty lives. Despite the harsh rap I gave evergreens in the intro, you know they are still handy in use. Choose varieties that stay compact on their own (if your space is compact) so you don't have to prune away their natural shape. It's those graceful arches that hold such beauty when snow-laden. Also watch out for varieties that winter-burn. You want your evergreens to stay green to set off the colors of your perennials and grasses.